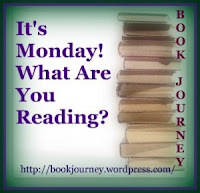 I started last week's Monday recap with the following: "Good morning. It's Monday and my kids are finally back in school after being out almost all of last week. It's refreshing to have a quiet house and to be able to focus on work today." The funny thing is that I can say the exact same thing again this Monday. Once again, my kids went to school on Monday and then were home the rest of the week. This week, I'm convinced they will actually be in school for the whole week. They better be!! I finished reading Dark Places by Gillian Flynn in time for my book club discussion last week. I have to admit I dropped my rating a bit after talking through it with others. I did enjoy it, but there were a few too many issues with the way everything was resolved. I then started reading The Alphabet House by Jussi Adler-Olsen, but I just couldn't get into it. So I gave up on that one and moved on to The Daughter: A Novel by Jane Shemilt, which I will be reviewing next week. After that, I'll probably start September Sky by John Heldt. It's hard to believe another month is gone in 2015. It will be Spring soon! Yay! Here's what I read and reviewed in February, and a running total for the year so far. ha ha Good luck with the school thing - school was closed AGAIN here today due to ice! I'm still trying to decide whether to read Dark Place, so I will head over to your review. You had a good reading month - and way to keep up on the reviews! I'm trying to get better at that this year. I'm trying so hard with the reviews. I don't want to let them get away from me again! Sorry to hear schools were closed there again. I'm hopeful we are finally past the winter storms here in NC. Fingers crossed!! You did great in February for books! Happy March reading!